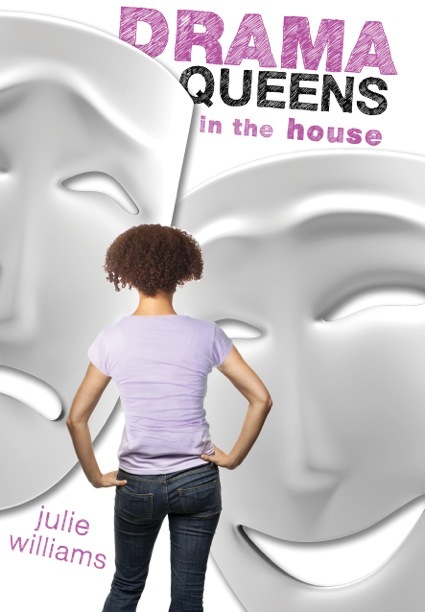 Julie Williams and I are lifelong friends and I’m thrilled to have her as a guest blogger this week to talk about her new YA novel, Drama Queens in the House. Recently published by Roaring Brook Press, it’s available on Amazon, B & N, and other bookstores. What’s the most fun/interesting part of the writing process? What happens instead is that a character starts talking in my head. And when I realize she’s not going away and is really trying to get my attention (sometimes after a day or two — sometimes it takes a lot longer), I start trying to get what she’s saying down in my morning journal writing practice. This can be fragments of a conversation. Sometimes it’s an internal monologue. Or it might be a full-blown scene between this new character and someone else in the story I haven’t met yet. Usually the character reveals quite a bit about herself really fast and that’s what starts the plot going. If, for example, my as yet unnamed character is wading out of a cold autumn lake where she’s just intentionally destroyed her mother’s prize speed boat, and she’s calling her mother the Crazy Woman, I’ve got a pretty good idea of setting and main conflict. I don’t know at that point whether the character will run away or step up to confront the situation. That knowledge will come the next time I open up my notebook, take out my pen, and try to get the words down. The down side of enjoying this part of the process as much as I do is that I have a lot of story beginnings that have never been developed into books. The up side is that I have a lot of imaginary friends. What’s your approach to developing the plot? I’m a big re-reader. If I love a book, I’ll read it over and over and over until I’ve practically memorized it. These reading habits began when I was very small and have grown and developed over a bunch of years of being a voracious reader. I like reading plots that feel organic, character-driven. I’m not a big fan of books that are plot-driven. When I’m reading them, I get anxious and irritated, and I usually skip to the end and read that and then go back and read in a kind of scatter-gun fashion through to the end to get the gist of the story. And I never go back and re-read a plot-driven novel. My love of re-reading informs the way I write. If the character comes to me in a particular setting and with a clear dilemma, then often the final scene of the book will pop up sooner rather than later. And that’s something to write toward. Or maybe it would be more accurate to say, it’s what the character is moving toward but she doesn’t know it, does she? Life rarely moves in a straight line. Even clearly delineated problems have a way of turning inside out and upside down and sometimes ending up the best thing that ever happened to us. I like, when I read, being reminded of this spiral dance we go through over and over and over, with problems that become solutions and goals that disintegrate and become new goals. So that’s what I like to write. The trick when you write that way is to keep track of all the plot points that emerge and work some magic in the rewriting stage of the process trying to get the action and movement of the story just right. That said, if you are a reader who adores plot-driven novels, you probably won’t like my books. What’s your take on rewriting? Rewriting is at once a gift from the gods and a pain in the tush. If I’m still in the story development creative flow stage, rewriting anything is difficult and painful and often not very effective. If, however, I’ve done most of that writing, have taken a break from the manuscript, and come back to it with fresh eyes and hopefully some wonderful notes from a trusted reader or editor, then the rewriting process becomes an art in and of itself. I like to view the rewriting process as a form of collage or assemblage (like the visual artwork that I do). When I’m able to get into that mind-frame and enjoy the jigsaw puzzle nature of tightening and reorganizing and fleshing out and paring back the story, then rewriting is downright fun. 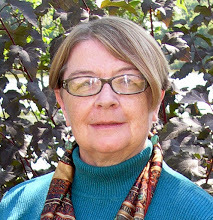 This entry was posted in Books, Uncategorized, Writing, YA and tagged Books, Writers, YA by ltownsdin. Bookmark the permalink. Thanks for commenting. Good luck with your writing! Thank Mrs. Williams and I hope you get to read my work someday. You are an inspirator.